I noticed a friend of mine wearing a beautiful turquoise horse head ring the other week, now turquoise horse head pieces seem to be popping up everywhere. Naturally I’m down to support this equine trend. Here are some beautiful accessories that you might want to add to your closet. 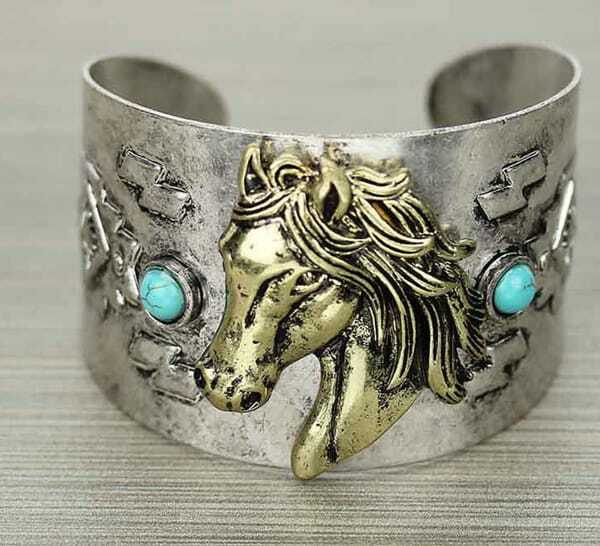 Above, an affordable horse head cuff with a couple turquoise stones from Sparkle N Spurs.